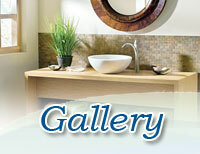 Testimonials | Beautiful Baths | Remodeling Made Easy! I just wanted to let you know that Larry and I are very pleased with our reno. Tom did a super job on the tub- what a huge job! The pipes under our vanity come up from below,and there's a solid bottom in the vanity. The job he and Jacob did on that is unreal- perfect fit,and I'm sure it wasn't easy to do. They had to cut two holes in the bottom,and it was done so neatly. You had mentioned that so far you were very pleased with the new young employee. I can see why. Jacob was a very nice young gentleman - eager and enthusiastic. I know how hard it is to get good people- especially that age. He's a gem. I hope he continues to be so eager to learn. I thought I'd just let you know how pleased we are,and now really looking forward to having our ensuite done. A quick note to express our esteemed pleasure with the work done on our bathrooms. From our early meetings with you identifying product and design detail, to the work done by Darcy and his team, it was nothing short of exceptional; best contracted project we’ve ever undertaken. A special thanks to Darcy who was on the project from dawn to dusk; who was meticulous in detail and kept us abreast of the project as it unfolded; we could not be more pleased with the end result and with the effort put forward by him. To you and your team Chris - Thanks so much; a job well done. efficient, polite & took care of my house well! Darcy work was excellent! Very pleased with the finished product. It was a pleasure working with you Chris. I would highly recommend your services… Darcy is a gem! Jamie is a definite asset to this company, one of the hardest workers I’ve ever met! Tidy, polite, cleans as he goes! awesome guy! We express our appreciation for the professional manner in which the bathroom renovations were carried out. We found that your crew of Darcy Lennon, Paul, and Tom were very accommodating, especially in completing the work in time for Barry to have his sleep prior to the start of his 3 night-shift week-end. In particular, Darcy, with his sunny disposition and sense of humour, worked diligently in seeing to our needs. We just had a complete, custom bathroom reno done. We are extremely pleased with the end result. Roger is knowledgeable, efficient and friendly.He and his working partner Paul work well together.We couldn't be happier Chris. Thank you.We will recommend your company to our friends. Smooth, Efficient installation..all old material removed. Dartmouth, NS - 2015 - New Bathtub installed. Great job, Big Improvement, Great Team! Dartmouth, NS - 2015 - New Shower, new Tile floor, new vanity, Full Reno! Great job & guys - very nice workmanship! Coldbrook, NS - 2015 - Full Reno: New in floor heat, Soaker tub, Tile walls, drywall work, etc. Good friendly service , felt comfortable having them work in our home! Halifax, NS - 2015 - New soaker Bathtub , Ceramic Tile , new plumbing. Jamie did an outstanding job! Very Professional! Thanks so much! We appreciate all your considerations & a wonderful job! Darcy did a wonderful installation! The tiles are all in alignment and look great. He was very accommodating. We are very happy with the whole experience! Very efficient , Clean, Friendly.. work well done! Awesome job! Shall keep you in mind for another job later! Thank you! I am thrilled with the new bathroom! Leigha was fabulous! Jamie was friendly and very efficient! Great Experience! Roger was extremely professional, courteous and meticulous. He is a real asset. We are very pleased with the work! Dartmouth 2015 - New soaker Bathtub, Ceramic Tiles, In floor heat , vanity etc. I Would recommend to anyone … guys were nice , polite & very helpful! This was a very positive experience. arrived on time! The installers were polite, friendly. moreover, they seemed to enjoy their job and totally treated me with respect; answered all my questions, kept me informed with the progress. Darcy & Paul were a pleasure to have in my home! Hi, I recently had my antique claw foot tub refinished by Tom H., your installer, and I just wanted to give some feedback on the job. I am very very happy with the result. Tom was prompt, courteous, and was very careful to protect my floors, walls, etc. while doing the job. He was meticulous and the finished product is beautiful. It looks like a brand new tub. I would definitely recommend your services to my friends. Thank you. Bernice D.
Everything went great and looks great! We’re really pleased with how great the shower & tub look now! Great work! Love the result! Bedford, 2014….Acrylic Corner Shower , tile flooring, pedestal sink. I wanted to pass on my thanks for a job well done and praise for the patience and understanding that Jamie showed toward my parents during the whole process. He also handled the unforeseen hurdles with an experienced hand of a true professional. It is a pleasure to see this rare value in approach to the job. My husband and I are so please with our bathroom. We love the clean look of the new tub,walls ,low flush toilet ,updated vanity and flooring.What a difference from the original bathroom. Most of all though ,we want to comment on the professionalism and work ethic of your employees. Leigha is an absolutely delightful person .The same work ethic and professionalism were also shown by paul, Jared and Jamie. They were pleasant, friendly and respectful of our wishes as they consulted with us on the details of the job. Your business was a class act throughout the entire process and we would highly recommend your company. Beautiful Baths installer Jamie was wonderful.He asked my opinion ,checked with us as our bathroom remodel progressed.He was well informative , courteous and pleasant.A good ambassador for your company. Our estimator Leigha was beyond helpful.She was very accommodating given my limited availability .Both Leigha and Jamie made our renovation a pleasant experience rather than the typical renovation stress !! Wonderful job! Would highly recommend! W.Miles.Hlfx.Nov,2013.) new bath tub,walls, shelving,faucets, subfloor, cetiled flooring,baseboards,toilet,vanity and counter top). Excellent service& workmanship ,thank you! L.Penny.Cole Hrb.Nov,2013. (new soaker bath tub, new acrylic walls, faucets0. Fantastic customer service and a clean,tidy job.Looks great! J.MacQuarrie,Dart.Nov,2013. 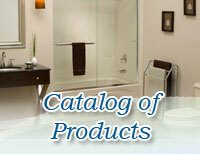 (8x8 Sculptured shower wall, woindow trim,shelcing,facuets,wainscotting,,grab bars,flooring). Friendly professional .Have an obvious pride in their work and workmanship. P. Duncan.Dartmouth Nov 2013(new bathtub,faucets and walls,window trim). paul and Jared did a great job.They showed creativity and excellent problem solving skills.Highly professional and friendly team. Paul is a fantastic installer.We appreciated his professionalism,caring manner and exceptional work. It was very easy to develop a sense of trust by his excellent communication,knowledge and exemplary efforts . Our experience throughout the whole renovating process was most satisfactory. We are extremely happy with our bathroom renovation and we wish Paul and the Beautiful Baths team the best. We will not hesitate to recommend Beautiful Baths to others. Awesome workmanship,great workers and Company reps ! Highly pleased! The crew working at my home were grea guys to have around especially \Jamie .He was very patient with me and pleasant. The rest of he crew were as well. A job well done! I would recommend you to everyone. Everything was dine quickly and on time.Great job!!! C+H Boudreau.HLFX.new tub,walls,window trim ,faucets, crescent rod. Very good job, very pleased with the results! 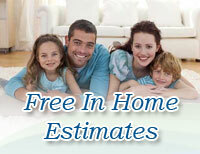 All the Installers that came to our home were courteous and friendly . We would recommend them to friends .They were like family. B+ M Hale.Hlfx.New vanity,counter top, toilet, sub floor, ceramic tiled floor + base boards faucets. "Bath Installers Jamie and Paul, were approachable,Knowledgeable and professional. The estimate Chris,was very helpful and respected my budget and project plan.Renovations can be stressful but this company provided great peace of mind and great service.Great job! Impressive results!" "I would like to thank you and your staff for making the conversion from bathtub to walk-in shower and the complete renovation of both bathrooms as painless as possible. I had the chance to meet most of your very efficient crew and I have to really emphasise the professional approach and attention Paul gave the work that was carried out in my house. He made it easy for me to work around his schedule to allow me to do the electrical repairs and painting required without delaying the process." My wife and I are extremely happy of the results and have received positive comments on the looks and quality of the installations in the main bathroom as well as the small bathroom. Once again give my thanks to all concerned and I hope you won't mind if I strongly recommend your company to friends and acquaintances. "We are very pleased with our new bathroom.It's absolutely beautiful.Jamie is a gem of an employee-wonderful work!"! New shower install ,glass shower doors and new faucets. “very pleased with this! Paul did an excellent job”…. Hi Chris, Jamie finished up here and I just wanted to pass on that he and your son did a wonderful job. Thanks again for everything. Especially for fitting us in under short notice. Captain was in this morning and also commented he was very happy with the work done and how much better it all looks. All the best. Friendly & Pleasant Installers (Paul & Jamie) , knowledgeable, personable, efficient, and good Experience! chris checked in often to monitor progress.